Karl Grümpe & Rene p.g. Ирен Попова (Irene Popova) is the sister project of Mai 12, delivering harsh drone soundscapes. Project started in the end of 2017. The whole idea for the project ignited with a memory from 1977, where Karl’s aunt gave him an encyclopedia. That's where he first read about Sputnik and the classic photo is still stacked in his mind! A conversation with Rene, set things up and the project was on the go. We both have lived the "glorious" 80's with the cold war, the western “paradise of freedom” and the the soviet "nightmare" over our heads, in the midst of capitalism. Something was very wrong in both sides, something we found out years later. Nevertheless, Soviet aesthetic in Ирен Попова is an important aspect and generally speaking, very interesting, basically for its symbolism and for us, also for the deconstructing of that symbolism. For example, Soviet functionalism in architecture and design, the principle that architects/designers should design buildings and objects based on the purpose of these buildings and objects, is very outspoken on its own, you can extract some solid conclusions about the mentality behind all this. An utopia which reeks of the same problems and dialectics with what this utopia stood against, an illusion with a heavy politburo scent. The adoption of this concrete aesthetic is a conceptual critique towards a whole era and thereafter, school of thought. A theoretical kick-starter of a kind for us. Soviet era was a time of revolution, change, delusion, political and ideological betrayal, a time of total black humor and absolute suppression, not much different than its western counterpart, except the fancy stuff! Ирен Попова doesn’t do any critique to Marxism/Communism generally, we are only interested to explore and describe our thoughts towards the visual aspect of the Soviet era and on what can come out of it. In a loose way, Ирен Попова is indeed a political project, because the Soviet aesthetics were political in nature, a tool of propaganda, a uniformed trademark of a political universe. Don’t be fooled, same tools of propaganda are evident in any state and we are suffocating in the presence of any organized state. In contrast, the name of the project comes partially from Lyubov Sergeyevna Popova (1889-1924), a Russian avant-garde artist, painter and designer. We wanted to create concrete, repetitive and harsh drones, very ritualistic and minimal and we tried to have functionalist approach in our sound and visuals (artwork etc). No, we do not know Russian language! First album "Πосле Эры Cпутника" (Post Sputkin Era), December 2017, came some time later and it's concept was the Sputnik satellite and the post-Sputnik era, seen as a political, economic, social and psychological landmark of an era. A self-release cassette followed and the project took it's course. On March 2018, "Oнлайн" (Online) album was released, a conceptual sequel to "Πосле Эры Cпутника" and a little later, a split ep with Mai 12, in which both projects are working the same track and each project infuse it with it's distinctive sound approach. Don’t know if this has happened before, same two people behind two different projects and these projects working together in a split, but we found the idea too weird and funny! A very limited edition lathe cut of this split EP is in the works. For the time being, we live on the tiny and volcanic island of Nisyros (GR), a place of extremities and bipolar situations, furthermore as the volcano under our feet is active. “Гигантская Πагода Ηа Κрошечном Βулканическом Οстрове” (A Giant Pagoda On A Tiny Volcanic Island) EP followed, conceptually little different, trying to describe these extremities in sound, with a touch of… Chinese Marxism, saturated with constant high dose of black humor and riddles. Both aspects are always part of our visual and audio work. We are a puzzle, even to ourselves! “Владимир” (Vladimir), our latest -so far- album, released on July 2018. It is a comment on the life and tragic death of the Soviet cosmonaut Vladimir Komarov and the destruction of Soyuz 1 on April 24th, 1967, the first in-flight fatality in the history of spaceflight. Harsh noise -and more- project Mai 12 is the spontaneous action of creating spontaneous and personal concrete noise. A digital destructive sonic outfit, emerged as a follow up (among two other sound projects) to our visual arts collaborative venture. The name signifies a date where all took form and a stream of togetherness unleashed its power and that power still remains. Mai 12 operates with d.i.y. punk ethics and approach, in a sense of making things on our own and without any help/support from any institution or academy. We conceive our noise to be dadaist punk but with a different sound and aesthetic. Our work was and will be always conceptual and/or commentary/critique on or about a given subject. 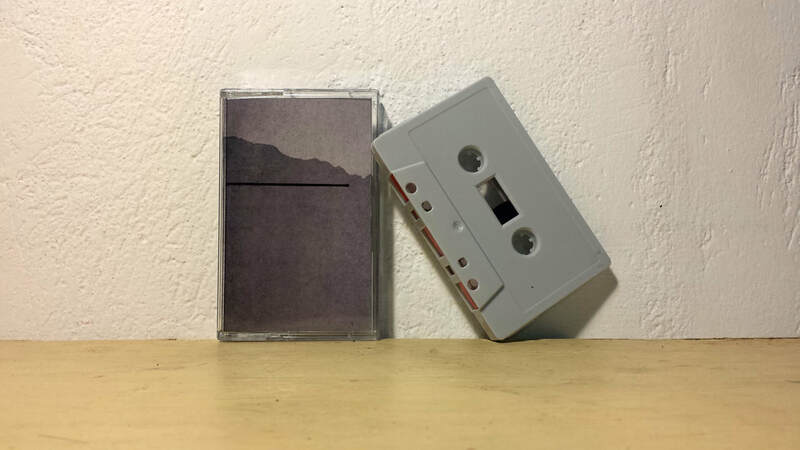 Then we relocated in the tiny volcanic island of Nisyros (GR), and there we made 12 regular cassette copies (“Minimal Edition”) and 12 hand-made box-sets (“Zanax Edition”) for this album, besides the initial digital release. We choose the hand-made approach as a part of our general d.i.y. preference. We love to make things by hand and as alive and sometimes visually not “perfect”, as life itself. All materials for the box set were gathered by hand and crafted slowly. Each box set is unique as the rusted locker or part of a lock is unique. Playing more with the materials and found objects, we created some unique copies of the “Asaotpu” album, just for the pleasure of doing so. These will remain in our hands. ​The relocation took our lives and sounds to a completely different turn. In that lovely, isolated and deserted piece of land, in a tiny village on the top of the volcano, in the total silence and virgin nature, we created ten more albums of total noise, in serious contrast with the silence and the serenity of the place. All our Mai 12 work here in Nisyros, is based on field recordings which we process them, in order to achieve the noise we want. Engraved in these sounds are portions of our daily lives, sentiments, aggression, tenderness, isolation, inner and outer dialogues, visions, discussions… Our noise is our current diary and everything here revolves around this process. ​“Nikiá” (December 2017), the third album and our first sonic diary, where we are riding together on our motor bike, road is like a stream through wild trees on mountain slopes. Everything looks majestic. The sound of this excursion is captured, a diary of the event. More albums came, more noise, more feelings, more isolation. “Dialogue Practices” (fifth album, February 2018) is a critique to dialogue, an almost failed concept yet to be destroyed… Prometheus' fire wasted in the absence of the art of dialogue. We rarely speak anymore, so kill words, only body language is real! ​“Catamaran” (sixth album, March 2018), a diary in sound. Conceived and recorded aboard ship Dodekanisos Express, during an almost psychedelic short trip from Kos (GR) to Nisyros (GR). ​“Metaptose” (seventh album, April 2018), a narrative about some looped incidents of reality anxiety occurring lately, just before daily routine. A grenade (metaptose) in the head, with the firing pin pulled. ​“CarpenterAnts” (eighth album, May 2018) and a true story: a sudden carpenter ant infestation in a house (our house) can be seen in various ways. Despite the damages or material loss, it is interesting to describe this occurrence under philosophical analysis. A breach in personal space not by the state or authority, but in a very natural context, this of carpenter ants. “Yellow” (June 2018), ninth album, which is a self-commentary about a period in which yellow color is more than evident, present and consuming and “Avláki” (July 2018), our latest album, an aural diary about a tiny specific place (Avláki, Nisyros, GR) we love enormously. Monolithic landscape, ruins, volcanic rocks and the sea. Our noise is in contrast with the total silence of the place. This album is the third diary, after "Nikiá" and “Catamaran” albums. Karl Grümpe & Rene p.g. will publish their first post at EC soon! Two visual and sound artists, Karl Grümpe and Rene p.g., met back in 2015 and joined in life and arts ever since. Living and working between Thessaloniki (GR) and Nisyros (GR), we make conceptual art in various forms and mediums and we have participated in selected exhibitions in the past years. In November 2015 we started Māo Pào, a visual arts fanzine, which was the base of our work. In late 2017 we expanded our work with three sound projects: Mai 12 (harsh noise / hnw), Ирен Попова (harsh drone / experimental) and ka.re.mA (electro / experimental / whatever), focusing mainly on self-released cassettes and occasional CDr's and other formats. We (still) operate with d.i.y. ethics and approach.